VIBRANT PIGMENT - This blush set allows you to create a beautifully pigmented look that lasts all day. 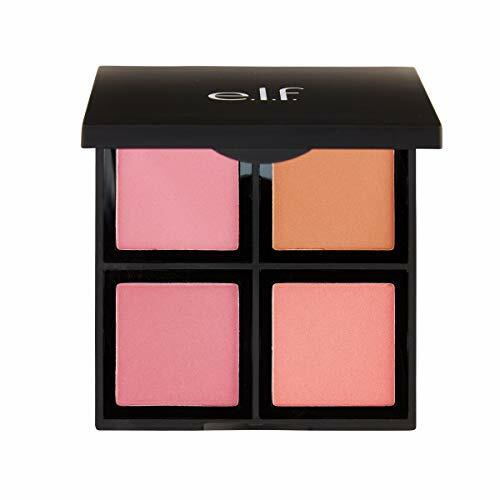 No matter the occasion, achieve the perfect look with this orange, pink, red and peach toned palette. FOUR CUSTOMIZABLE SHADES - Mix and match different shades from this kit for a custom look or use them individually for a beautiful wash of shimmering color. HOW TO USE - Use the shades individually or create your own custom blush by swirling a blush brush over your chosen shades. Apply the blush to the apples of the cheeks and blend out using circular motions. IDEAL FOR TRAVEL OR TOUCH-UPS - This palette is ideal for touch-ups and travel. Pack the palette in your purse to touch-up your blush throughout the day, or bring it on your next trip to ensure you'll have every shade you need. VEGAN AND CRUELTY-FREE - Our cosmetics are PETA certified cruelty-free and vegan, so you can feel good about using our products.